I’m Ben, and I love to travel. A simple confession, and there are worse to make, but I have to come clean! I live in Biggleswade with my amazing wife Becca, our cat Smudge and an ever growing collection of Lonely Planet Guides! Travel became a central part of my world as a kid. My dad’s job took him away from home alot, to Bangladesh, India and Indonesia to name a few. He would come back with incredible gifts of far-flung places that didn’t seem quite real. When I was about ten he made a permanent move out to South Africa. My sister and I joined him in all the major school holidays to go on adventures that were almost unimaginable before. Road trips up to Vic Falls, long dark evenings playing cards in Kruger National Park or driving the Garden Route down to Cape Town. My dad was a brave man taking young kids on journeys like this, and I think it was these experiences that led to my deep routed need to travel. When you combine this with my mum’s skills as a teacher, you start to get a picture of why I became who I am. Someone who craves travel, but also loves to learn and write about my experiences. Someone who wants to have experiences that you can’t get at home, but also create a trail behind me reminding me of where I’ve been. Photographs do this, as do memories, but writing has always been my first love – whether it be music, poetry or now, sharing my stories through travel writing. 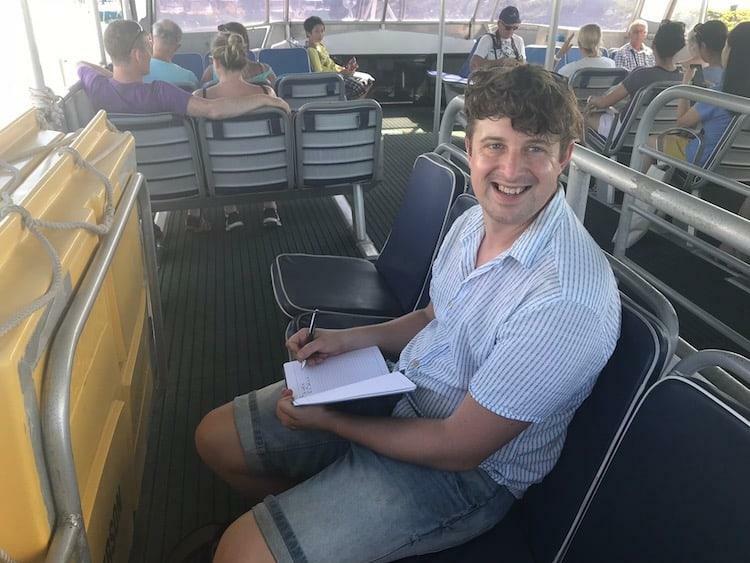 Taking notes – Somewhere in the middle of the Indian Ocean! 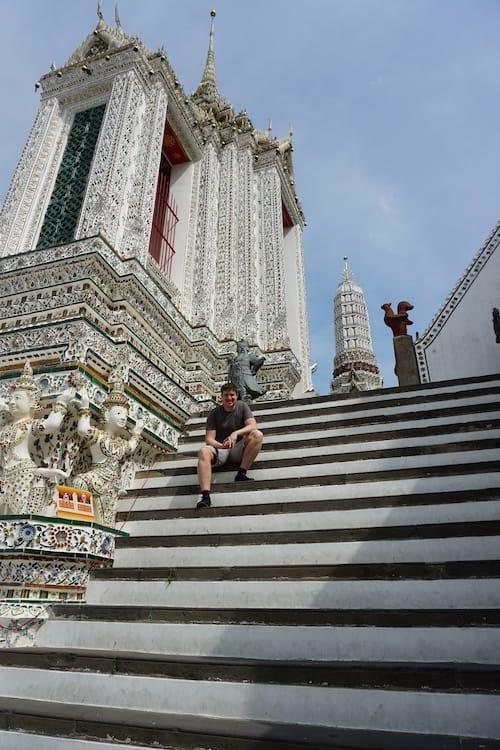 Travel faded away a bit in my twenties, with life taking over – getting married, buying a house, getting promotions at work. It was an important time, a foundation for the future, but took me away from the things I love doing. But then things changed. I moved companies in 2016 which gave me three months of which we used to travel. In 2018 time for a sabbatical, three months away from the workplace to go and travel Asia. In amongst that, we learned to rebalance life again. Making the most of our weekends and holiday time. 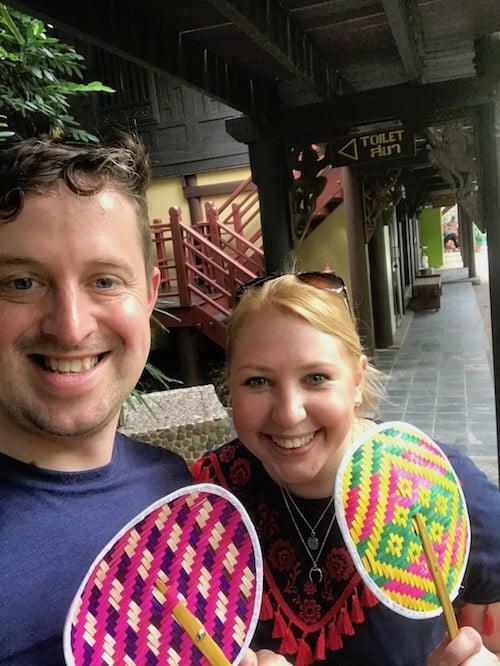 Fitting in mini-adventures where we could, and maximising our annual leave to see the world. This doesn’t come easy. It means trying to live as cheaply as possibly in-between, not buying fancy clothes, or the latest tech. Not eating out twice a week or filling our house with needless possessions (ok, you need to forget my cycling phase, there was a little too much money spent there!). The investment in our twenties put us both in good jobs, and now we make sure we save hard so we can travel as much as possible. 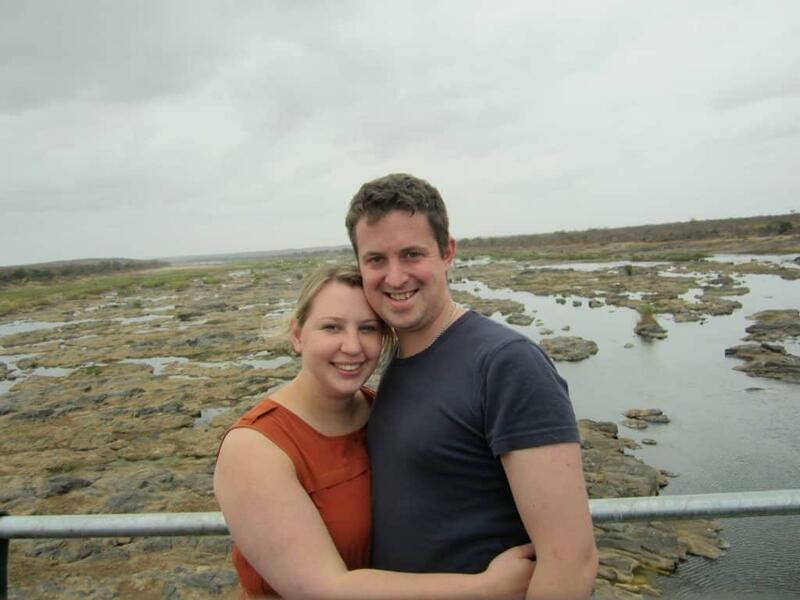 My companion through the last ten years of travel has been my wife Becca. When we first met she hadn’t done much travelling, but now she’s the one pushing us on! We’ve seen so much of the world together, and I’ve loved every moment of it. Time on the road would definitely be boring without her there. I’d be rattling through temples, museums and churches, but with her we’re paragliding, visiting zoos and getting every fun/train or tour bus she can find! Traveling as a couple is not always easy, being in such close company can push people to their limits, but somehow we’ve found a way. We’re both pretty easy going, which helps, but normal a quick sugar fix picks up whoever is the most grumpy! All I know is that I wouldn’t have seen half of what I have without her by my side. 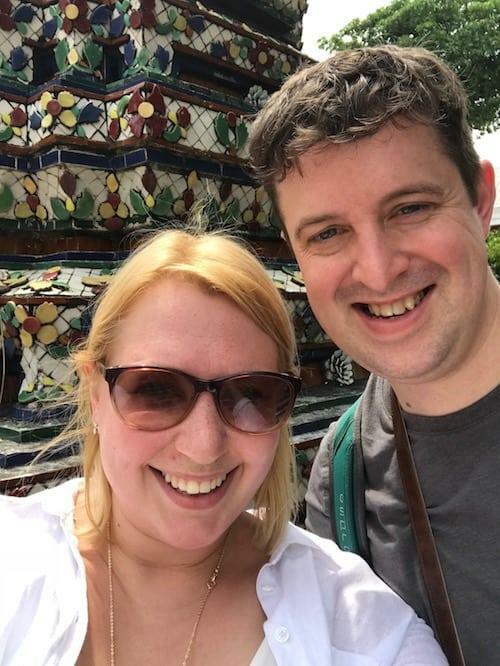 We’re not the bravest travellers in the world, and we like our home comforts, but we are the living proof that if you put your mind to it you can find a way to incorporate travel into your life. And that the world doubles in excitement when you share it with someone.